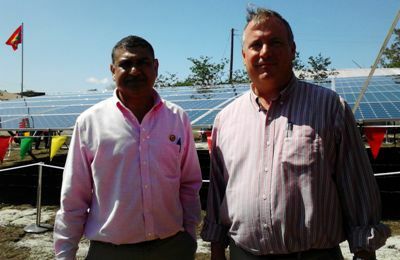 “This launch in Petite Martinique is a significant step in GRENLE’s aggressive drive to diversify our energy portfolio.” This was the assurance from the company’s interim Chief Executive Officer, Clive Hosten, when he addressed the commissioning ceremony of the Petite Martinique Solar Project last week Friday. 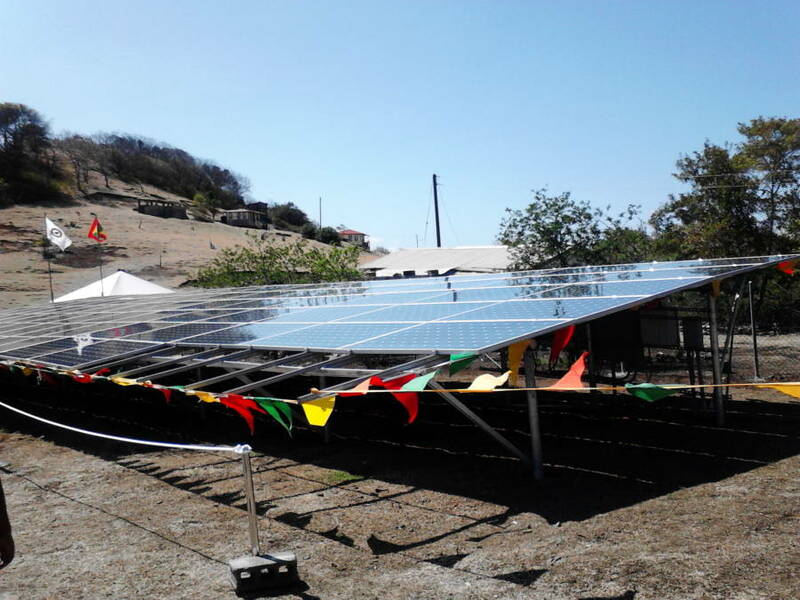 The ceremony was for the commissioning of the Petite Martinique facility at Citern, as well the launching of the rooftop solar systems at GRENLEC’s headquarters in Grand Anse. Concerns were expressed about the impact of high fuel cost on national sustainable development. “Both systems are photovoltaic, meaning that they generate electricity directly from the sunlight. 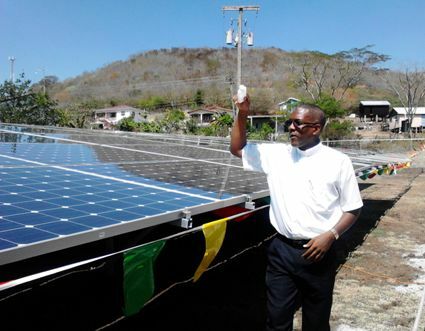 As our exploratory work has indicated, the installation of these systems has been performing extremely well and consistent with solar technology, we have also seen that the requirement for maintenance is low,” Hosten told media and a delegation of persons from the Government and the non-governmental and Tourism sectors, who attended the ceremony. Chairman of GRENLEC’s Board, Robert Blanchard Jr, said that his company has been a pioneer in the region for renewable energy, and that he is aware of the great hardship facing customers as a result of high fuel cost. GRENLEC has set a target to achieve 100% renewable energy penetration over the next few years in Petite Martinique, which has a population of less than one thousand. The Petite Martinique project will be able to provide 31.59 kW or 20% of the island’s peak electricity demand, while the rooftop solar systems on the three main buildings at GRENLEC’s headquarters, will produce 148.48 kW.